Without a doubt, one of the most anticipated TV events of 2018 is The Assassination of Gianni Versace: American Crime Story. However, the show's producer Ryan Murphy told Variety magazine that Donatella Versace, Gianni's sister and the artistic director of the fashion house, had sent Penelope Cruz, who plays her in the series, a bunch of flowers the day before the premiere. The show explores the run-up to the murder of the Italian fashion designer in 1997 and is based on the book Vulgar Favors by Maureen Orth - a publication the Versace family don't see as accurate. Penelope Cruz as Donatella Versace in "The Assassination of Gianni Versace"
"I hope it strikes a chord with a lot of people. There's a lot of information to be gleaned from it and a lot of information that people are very much unaware of so I'm excited to be part of such a compelling story but we'll see. I don't want to give an opinion until it's out there." 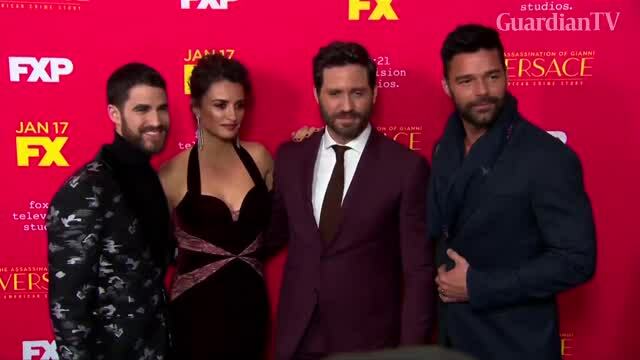 The Assassination of Gianni Versace: American Crime Story premieres on FX on January 17.